www.sv2s.com • View topic - SCORE!!! Anyone have a clue what/where/when/who as pertaining to this motor? Thanks Joe! This ^^^ helps a lot!!! No, it didn't! And trying to figure it out, I ended up making SURE it didn't! Broke some of it. Now I need to find parts. Alright Joe, thanks anyway. The kit is available for a little over a hunnert bucks and "sold by" a couple of different names but they are generic cheap china crappy crap distributors including cheap furniture and the like. There is absolutely no brand name stamped or marked anywhere on this thing. 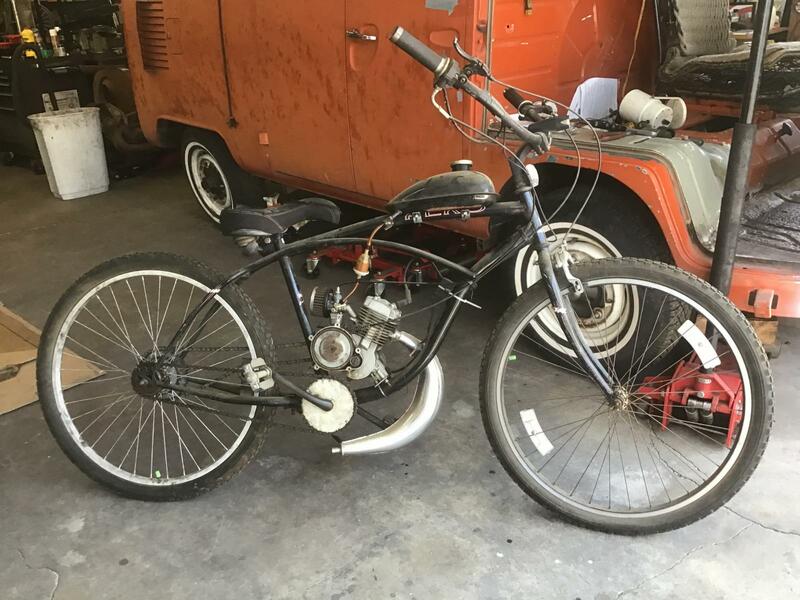 So, I scored on a "kool looking" motorized beach cruiser than only runs when you pedal it. On Craigslist I have seen ads from local motorized bike converters/sellers. Maybe they could help you with a part or two?